Editor’s note: This article has been updated to address the MyHarmony software, which is far more current than the Logitech Harmony Remote Software originally discussed. 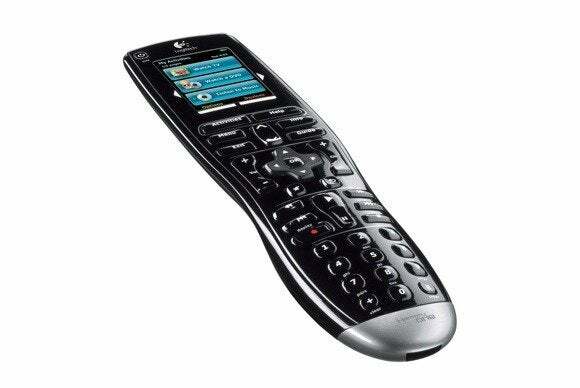 I’ve heard you say that you like Logitech’s Harmony Remote universal remote control. I have one too, but I can’t seem to make it work with my Roku set-top box, yet it’s fine with all my other gear. Any ideas? It’s possible that you’re using out-of-date software. If you have a Harmony Ultimate; Harmony Ultimate Hub; Harmony Smart Control; Harmony Touch, Harmony Ultimate One; Harmony One+; Harmony 700, 650, 600, 300, 200, 350; or Harmony Link you should be using Logitech’s MyHarmony app rather than the older Logitech Harmony Remote Software. Instead, when configuring the software, just enter a brand (Roku or Sonos, for example) and then enter a model number—XDS or Play:5, for instance. The software has a massive database of devices and will do the right thing and add it to the kind of activity you desire. I have a Harmony One remote and the MyHarmony software works perfectly with it. Setup was a snap and it was able to copy configurations from an old account (used with the older Harmony Remote Software) to the new account I created for the MyHarmony app. If you have an older Harmony remote—I have a Harmony 880 in addition to my newer Harmony One—MyHarmony does you no good as these older remotes aren’t supported. In such cases you’re stuck with the original Logitech Harmony Remote Software, which hasn’t seen a significant update in quite awhile. If that’s the boat you inhabit, bear in mind—as I’ve already hinted—that your Roku box must be added as a DVD player. Once you’ve added it you can go on to create an activity around it as you would with a real DVD player. Note, however, that now that it’s classified as that kind of device, you must configure the activity as if you were adding a DVD player. In short, click Add Activity, choose to manually add an activity, choose Watch DVD or Laserdisc, choose Watch a DVD (DVD player), and select your Roku box as that DVD player. Once you finish clicking Next several times and update your remote, you should find that it correctly controls the Roku and your other components.